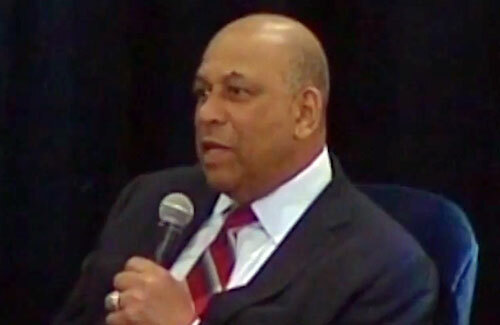 Orlando Cepeda is a retired MLB first baseman who played for the San Francisco Giants from 1958–1966, the St. Louis Cardinals from 1966–1968, the Atlanta Braves from 1969–1972, the Oakland Athletics in 1972, the Boston Red Sox in 1973 and the Kansas City Royals in 1974. Cepeda is a World Series champion for 1967 plus he is an eleven-time All-Star for 1959–1964 and 1967. Cepeda was named National League Rookie of the Year for 1958 plus National League MVP for 1967. The San Francisco Giants retired his number 30 in 1999 plus he was inducted into the Baseball Hall of Fame in 1999. Sports Speakers 360 is a booking agent for pro athletes. If you would like to book Orlando Cepeda for a speaking engagement, appearance or endorsement, contact an Orlando Cepeda booking agent for fees at 1.855.303.5450.